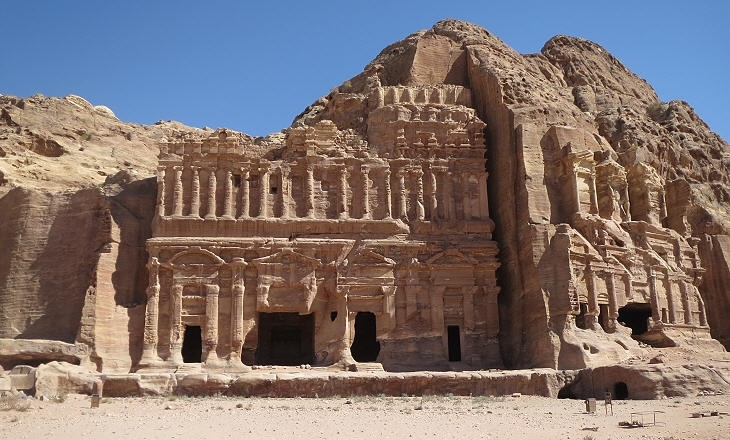 During any trip to Petra, you shouldn't miss the unpredictable Royal Tombs that took its name from the rich decoration. It is very ornate and similar to the Treasury. 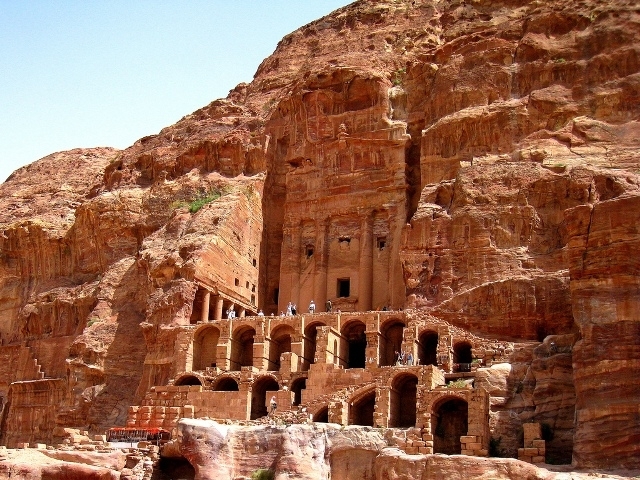 This tomb is built high on the mountain side, To reach them you have to climb a stairway that leads to the famous Urn Tomb, which was used as a place of worship during the Byzantine Empire. 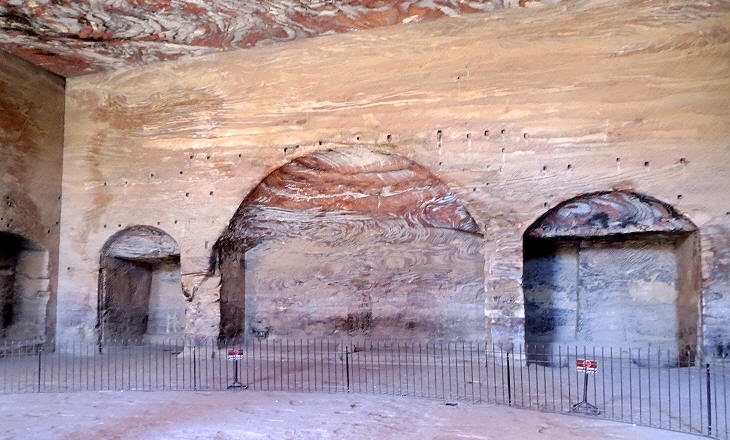 The Royal Tombs of Petra consist of of four distinct tombs: the Urn Tomb, the Silk Tomb, the Corinthian Tomb, and the Palace Tomb. 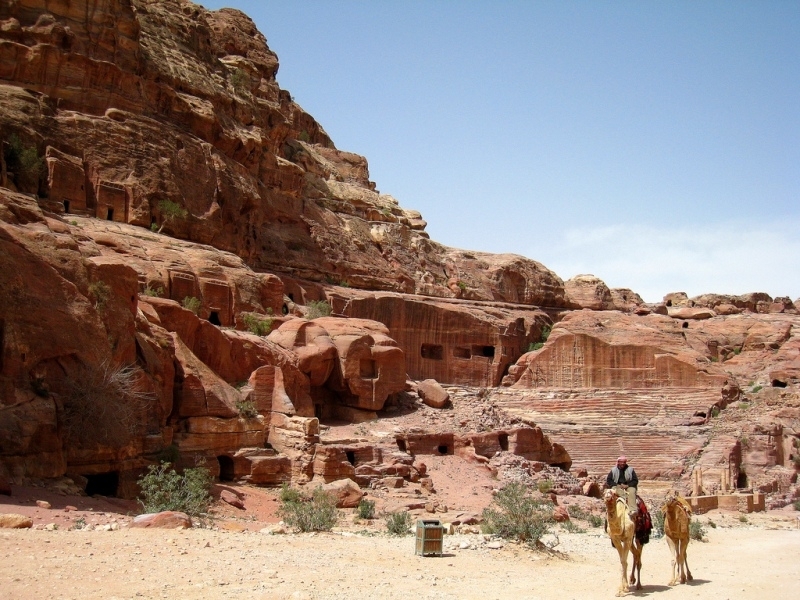 it overlook the main walkway of Petra.